We know nonprofit tech has not always been a shining example of diversity and inclusiveness and that we must do better. But what if the very hiring practices we’re hoping will lead to more organizational diversity are in fact working against us? Unconscious bias can be pretty insidious and hard to uncover, which means we have to evaluate our practices at every level. Join this discussion about some common practices in the nonprofit tech world that make it harder to reach a more diverse audience and send unintentional messages to some that they are unlikely to fit in. Paula Brantner is the Senior Advisor to Workplace Fairness, after serving as Executive Director (2008-2016) and Program Director (2003 to 2007) writing legal content for the Webby-nominated site www.workplacefairness.org, and developing products for WF’s social enterprise program, 0.1.2.3. In 2016, she founded PB Work Solutions, LLC, to counsel and coach workers in toxic workplaces and consult and advise on workplace issues, including sexual harassment training and policy development. 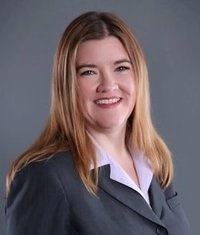 An employment lawyer for over 25 years, Paula has degrees from UC-Hastings College of the Law and Michigan State University’s James Madison College. She is a former co-coordinator for NetSquaredDC and a retired DC Rollergirl. She volunteers at the Smithsonian’s National Zoo, travels around the world to see pandas, and lives for karaoke and trivia nights.